This 3 part tutorial is for network / reliability engineers, solution architects, and leaders in the operations organization involved with extending the capabilities and reliability of their external DNS deployment. The techniques covered will apply to any organization operating on the public internet, from the small startup to major multinational enterprises. 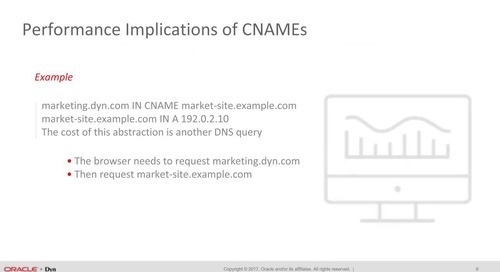 By the end of this course, you will know how to build domain traffic easily enabling multiplatform DNS, grasp the important criteria in assessing DNS network compatibility, and understand how to use DNS as a traffic steering platform.